Today, I am sharing a tutorial over at My Cuddle Corner Blog for a baby quilt using Kozy Cuddle, my favorite brand of minky fabric. 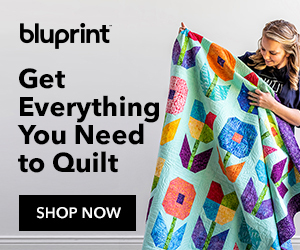 If you want some tips for working with Cuddle (minky) and see a great idea for a baby/child’s quilt, go check it out! Shannon Fabrics is one of the largest distributors of minky fabric and you’re going to love their collection of Cuddle Fabric. It comes in a great variety of colors and textures such as Embossed, Dimples, Plush, Paisley, and Shaggy. They have something for everybody! I love your Starbright wall hanging!!! Great job. I have tried several times to print your patterns for the holy leaves and star. I can see it but I try to print it and it comes out as a blank page. Do you know why? Is that extra thick binding? I love it! Unless I am seeing double. Those colors are so happy, I like the cows. Oh, nice tutorial! I love the mini tutes in photo form sprinkled in. Also, great tips for working with the cuddle fabric. I haven’t done much appliqué with it…just a couple onesies…I am adding this to my arsenal for sure. Xoxo! You’re wonderful as always Julie! This baby quilt is so adorable! I saved the tutorial , to make as a baby gift. Perfect and so soft!! Thanks for an excellent tutorial! !